The X-Men franchise makes a welcome comeback after two previous misfires with the retro prequel/reboot “X-Men: First Class”, an intelligent, fun filled action flick that manages to breathe new life into a series that had grown quite tired. The X-Men movies started out with a bang with the original Bryan Singer film, and built upon that momentum with a sequel, “X-Men: United”, that was in many ways even better than the first. But when noted hack director Brett Ratner took over for Singer in the third film, it ground to an agonizing halt. In fact, you could compare the X-Men series almost identically to the Christopher Reeve “Superman” movies; excellent first film, even better second film, and then a third film that was absolutely terrible. Marvel Studios tried to start from scratch two years ago with the first of what they were calling “X-Men Origins”, telling the back stories of some of the more popular characters. Of course, that meant starting with the most popular of the X-Men; Wolverine. 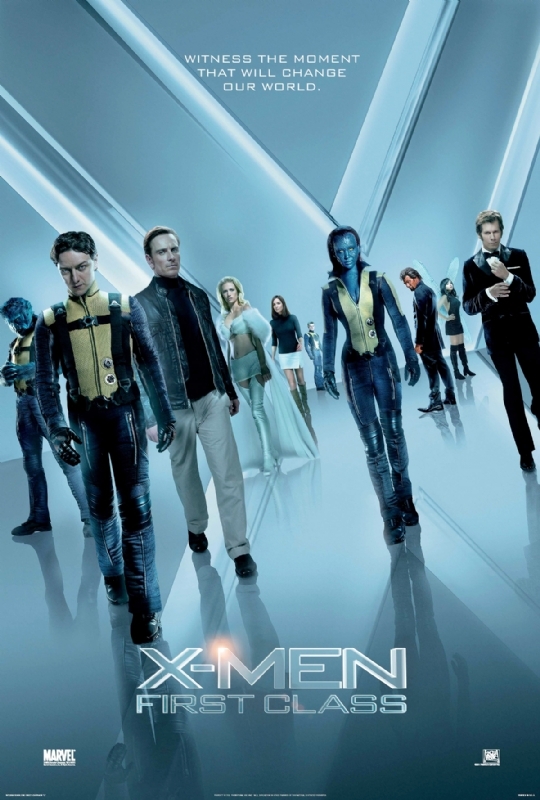 The film was almost as much of a mess as X-Men 3, prompting the studio to do at least one smart thing; remove the designation “X-Men Origins” from this film to try to distance it from the stench of the last two. What we end up with is a film that stands on its own, while still paying homage to the spirit of the Singer films. With no Wolverine in the early days of the X-Men (his introduction to Charles Xavier came in the first movie in 2000, so you can’t re-write history that much…even in comic book films), it’s up to the “older” mutants to carry the film. This means focusing on the initial meeting of Charles Xavier and Erik Lehnsherr, the men who would later continually face off against one another as Professor X and Magneto. In the first movies, you often heard Patrick Stewart as Xavier and Ian McKellen as Magneto talk to and about each other as if they were once friends. This movie shows how that friendship came about, how it was nurtured, and ultimately how it became estranged. To pull this off, they needed two quality actors with the gravitas for the dramatic, and the charisma for the action. Director Matthew Vaughn got very lucky in the selection of James McAvoy and Michael Fassbender for the leads. McAvoy was perfect for the quiet intellectual who also happens to become the world’s most powerful telepath. McAvoy already established his reputation as an outstanding dramatic actor in films such as “Atonement”, “The Last King of Scotland”, and “Becoming Jane”; but just as important, he showed his ability to perform well in action flicks in the mega-hit “Wanted”. Although he looks nothing like Patrick Stewart, he is able to portray the character in a way that is totally believable to those who have followed the series. He also gets to loosen Charles up a bit as a younger man, showing him to be a cocksure son of privilege who is not above using cheesy lines to pick up women after he’s had a little too much to drink. Fassbender is often the polar opposite of McAvoy, which works perfectly for this movie. He’s got the prerequisite movie star looks to pull this off, and has had success in recent action movies, playing the doomed cocky British officer in “Inglourious Basterds” and the equally doomed cocky friend of King Leonidas in “300”. But the cockiness is put aside in this movie. Erik is shown to be a very tortured, angry man. The movie starts with a short scene that was shown in the first movie; of young Erik in a concentration camp, who uses his power of magnetism for the first time as he is separated from his parents. The film picks up from there, alternating back and forth from Xavier’s pampered upbringing to Erik’s dealing with a sadistic Nazi doctor trying to exploit his powers. The doctor is actually a mutant himself, played by Kevin Bacon. As a young adult, Erik now has much more control of his powers, and is embarking on a world-wide search for those responsible for his fate and that of his family in the concentration camp. This search ends up with Erik meeting with Charles as they both try to track down Sebastian Shaw, the name Bacon’s character is now using. Eventually, all of this leads to Charles and Erik, assisted by CIA operative Moira MacTaggert (Rose Byrne) trying to find other mutants; to both protect them from Shaw, as well as assist in tracking him down. The culmination of all of this leads to their involvement with the Cuban Missile Crisis, an interesting (or eyebrow raising…take your pick) take on history. For once, the introduction scenes to the other mutants aren’t as boring or predictable as you come to expect in these types of films (watch for one particularly hilarious short “OMG” scene during this part of the movie). On the down side; the other mutants themselves are pretty boring and predictable, with the exception of Jennifer Lawrence as Raven/Mystique, and Nicholas Hoult as Hank McCoy/Beast. To me, that was the biggest surprise. I was expecting this to be an ensemble driven movie, but in fact, it is one mostly dominated by McAvoy and Fassbender, with Lawrence and Bacon also pitching in with fine performances and well rounded characters with a good amount of screen time. Byrne and Hoult also do a decent job with their smaller roles. But the rest of the cast was largely forgettable. Worst of all was January Jones as Emma Frost, whose performance was completely stilted and mechanical. She looks more bored in this film than she does in “Mad Men”. The plot itself took a bit of a detour towards the end, in a bit of revisionist history that while not as over-the-top as the end of “Inglourious Basterds”, was still pretty unbelievable. Still, it was enjoyable to watch, and the action sequences were outstanding, as were the special effects. What makes this film above average, however, is the relationships between the characters, and this is where McAvoy, Fassbender, and Lawrence shine; especially Lawrence as the focal point of a triangle that I never knew existed before. Xavier’s family took young Raven in as a 10 year old orphan, and Charles has looked upon her as a little sister ever since. Doing so, he’d always been very protective and always pushed her to hide her abilities from the world. He was also totally oblivious to the fact that she had a crush on him. Then Erik comes along with words about accepting herself for who she is, and she is smitten by the handsome bad-boy. Lawrence is able to bring out the complexities in her character, and shows again why she is at the top of the “hot actress” category after her Oscar nominated breakout role in “Winter’s Bone”. All in all, take this movie as a worthy prequel to the first two X-Men films. Like them, it isn’t perfect, and it has a lot of holes in the plot; but ignore them and watch for the action and the character interactions. And burn any copies you have of X-Men 3 or Wolverine. Note: If you’re the type that likes to stay until after the credits of Marvel movies to see the extra little scenes they like to put in…don’t bother…no such scene in this film. 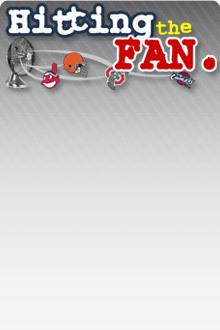 Get DirectSatTV to follow your favorite Cavs action.